Competition law is known as anti-trust law in the United States, and as anti-monopoly law in China and Russia. In previous years it has been known as trade practices law in the United Kingdom and Australia. In the European Union, it is referred to as both antitrust and competition law. An early example of competition law can be found in Roman law. The Lex Julia de Annona was enacted during the Roman Republic around 50 B.C. To protect the grain trade, heavy fines were imposed on anyone directly, deliberately, and insidiously stopping supply ships. Under Diocletian in 301 A.D., an edict imposed the death penalty for anyone violating a tariff system, for example by buying up, concealing, or contriving the scarcity of everyday goods. More legislation came under the constitution of Zeno of 483 A.D., which can be traced into Florentine Municipal laws of 1322 and 1325. This provided for confiscation of property and banishment for any trade combination or joint action of monopolies private or granted by the Emperor. Zeno rescinded all previously granted exclusive rights. Justinian I subsequently introduced legislation to pay officials to manage state monopolies. Legislation in England to control monopolies and restrictive practices were in force well before the Norman Conquest. The Domesday Book recorded that "foresteel" (i.e. forestalling, the practice of buying up goods before they reach market and then inflating the prices) was one of three forfeitures that King Edward the Confessor could carry out through England. But concern for fair prices also led to attempts to directly regulate the market. Under Henry III an act was passed in 1266 to fix bread and ale prices in correspondence with grain prices laid down by the assizes. Penalties for breach included amercements, pillory and tumbrel. A 14th century statute labelled forestallers as "oppressors of the poor and the community at large and enemies of the whole country." Under King Edward III the Statute of Labourers of 1349 fixed wages of artificers and workmen and decreed that foodstuffs should be sold at reasonable prices. On top of existing penalties, the statute stated that overcharging merchants must pay the injured party double the sum he received, an idea that has been replicated in punitive treble damages under US antitrust law. Also under Edward III, the following statutory provision outlawed trade combination. ...we have ordained and established, that no merchant or other shall make Confederacy, Conspiracy, Coin, Imagination, or Murmur, or Evil Device in any point that may turn to the Impeachment, Disturbance, Defeating or Decay of the said Staples, or of anything that to them pertaineth, or may pertain. it is very hard and difficult to put certain prices to any such things... [it is necessary because] prices of such victuals be many times enhanced and raised by the Greedy Covetousness and Appetites of the Owners of such Victuals, by occasion of ingrossing and regrating the same, more than upon any reasonable or just ground or cause, to the great damage and impoverishing of the King's subjects. The English common law of restraint of trade is the direct predecessor to modern competition law later developed in the US. It is based on the prohibition of agreements that ran counter to public policy, unless the reasonableness of an agreement could be shown. It effectively prohibited agreements designed to restrain another's trade. The 1414 Dyer's is the first known restrictive trade agreement to be examined under English common law. A dyer had given a bond not to exercise his trade in the same town as the plaintiff for six months but the plaintiff had promised nothing in return. On hearing the plaintiff's attempt to enforce this restraint, Hull J exclaimed, "per Dieu, if the plaintiff were here, he should go to prison until he had paid a fine to the King." The court denied the collection of a bond for the dyer's breach of agreement because the agreement was held to be a restriction on trade. 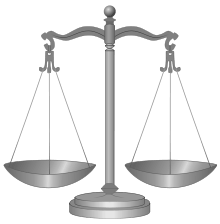 English courts subsequently decided a range of cases which gradually developed competition related case law, which eventually were transformed into statute law. Europe around the 16th century was changing quickly. The new world had just been opened up, overseas trade and plunder was pouring wealth through the international economy and attitudes among businessmen were shifting. In 1561 a system of Industrial Monopoly Licenses, similar to modern patents had been introduced into England. But by the reign of Queen Elizabeth I, the system was reputedly much abused and used merely to preserve privileges, encouraging nothing new in the way of innovation or manufacture. In response English courts developed case law on restrictive business practices. 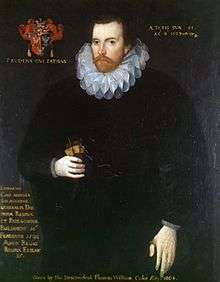 The statute followed the unanimous decision in Darcy v. Allein 1602, also known as the Case of Monopolies, of the King's bench to declare void the sole right that Queen Elizabeth I had granted to Darcy to import playing cards into England. Darcy, an officer of the Queen's household, claimed damages for the defendant's infringement of this right. The court found the grant void and that three characteristics of monopoly were (1) price increases (2) quality decrease (3) the tendency to reduce artificers to idleness and beggary. This put an end to granted monopolies until King James I began to grant them again. In 1623 Parliament passed the Statute of Monopolies, which for the most part excluded patent rights from its prohibitions, as well as guilds. From King Charles I, through the civil war and to King Charles II, monopolies continued, especially useful for raising revenue. Then in 1684, in East India Company v. Sandys it was decided that exclusive rights to trade only outside the realm were legitimate, on the grounds that only large and powerful concerns could trade in the conditions prevailing overseas. 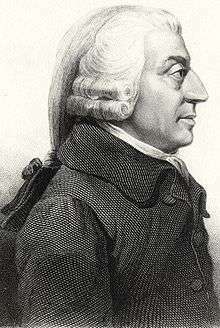 The development of early competition law in England and Europe progressed with the diffusion of writings such as The Wealth of Nations by Adam Smith, who first established the concept of the market economy. At the same time industrialisation replaced the individual artisan, or group of artisans, with paid labourers and machine-based production. Commercial success increasingly dependent on maximising production while minimising cost. Therefore, the size of a company became increasingly important, and a number of European countries responded by enacting laws to regulate large companies which restricted trade. Following the French Revolution in 1789 the law of 14–17 June 1791 declared agreements by members of the same trade that fixed the price of an industry or labour as void, unconstitutional, and hostile to liberty. Similarly the Austrian Penal Code of 1852 established that "agreements... to raise the price of a commodity... to the disadvantage of the public should be punished as misdemeanours." Austria passed a law in 1870 abolishing the penalties, though such agreements remained void. However, in Germany laws clearly validated agreements between firms to raise prices. Throughout the 18th and 19th century, ideas that dominant private companies or legal monopolies could excessively restrict trade were further developed in Europe. However, as in the late 19th century, a depression spread through Europe, known as the Panic of 1873, ideas of competition lost favour, and it was felt that companies had to co-operate by forming cartels to withstand huge pressures on prices and profits. 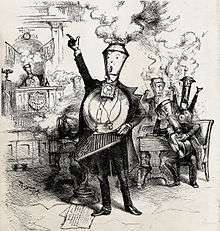 While the development of competition law stalled in Europe during the late 19th century, in 1889 Canada enacted what is considered the first competition statute of modern times. The Act for the Prevention and Suppression of Combinations formed in restraint of Trade was passed one year before the United States enacted the most famous legal statute on competition law, the Sherman Act of 1890. It was named after Senator John Sherman who argued that the Act "does not announce a new principle of law, but applies old and well recognised principles of common law." Competition law gained new recognition in Europe in the inter-war years, with Germany enacting its first anti-cartel law in 1923 and Sweden and Norway adopting similar laws in 1925 and 1926 respectively. However, with the Great Depression of 1929 competition law disappeared from Europe and was revived following the Second World War when the United Kingdom and Germany, following pressure from the United States, became the first European countries to adopt fully fledged competition laws. At a regional level EU competition law has its origins in the European Coal and Steel Community (ECSC) agreement between France, Italy, Belgium, the Netherlands, Luxembourg and Germany in 1951 following the Second World War. The agreement aimed to prevent Germany from re-establishing dominance in the production of coal and steel as it was felt that this dominance had contributed to the outbreak of the war. Article 65 of the agreement banned cartels and article 66 made provisions for concentrations, or mergers, and the abuse of a dominant position by companies. This was the first time that competition law principles were included in a plurilateral regional agreement and established the trans-European model of competition law. In 1957 competition rules were included in the Treaty of Rome, also known as the EC Treaty, which established the European Economic Community (EEC). The Treaty of Rome established the enactment of competition law as one of the main aims of the EEC through the "institution of a system ensuring that competition in the common market is not distorted." The two central provisions on EU competition law on companies were established in article 85, which prohibited anti-competitive agreements, subject to some exemptions, and article 86 prohibiting the abuse of dominant position. The treaty also established principles on competition law for member states, with article 90 covering public undertakings, and article 92 making provisions on state aid. Regulations on mergers were not included as member states could not establish consensus on the issue at the time. Some EU Member States enforce their competition laws with criminal sanctions. These types of sanctions engender a number of significant theoretical, legal and practical challenges. Chapter 5 of the post war Havana Charter contained an Antitrust code but this was never incorporated into the WTO's forerunner, the General Agreement on Tariffs and Trade 1947. Office of Fair Trading Director and Professor Richard Whish wrote sceptically that it "seems unlikely at the current stage of its development that the WTO will metamorphose into a global competition authority." Despite that, at the ongoing Doha round of trade talks for the World Trade Organization, discussion includes the prospect of competition law enforcement moving up to a global level. While it is incapable of enforcement itself, the newly established International Competition Network (ICN) is a way for national authorities to coordinate their own enforcement activities. 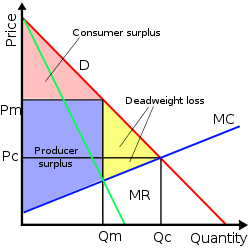 Contrasting with the allocatively, productively and dynamically efficient market model are monopolies, oligopolies, and cartels. When only one or a few firms exist in the market, and there is no credible threat of the entry of competing firms, prices rise above the competitive level, to either a monopolistic or oligopolistic equilibrium price. Production is also decreased, further decreasing social welfare by creating a deadweight loss. Sources of this market power are said to include the existence of externalities, barriers to entry of the market, and the free rider problem. Markets may fail to be efficient for a variety of reasons, so the exception of competition law's intervention to the rule of laissez faire is justified if government failure can be avoided. Orthodox economists fully acknowledge that perfect competition is seldom observed in the real world, and so aim for what is called "workable competition." This follows the theory that if one cannot achieve the ideal, then go for the second best option by using the law to tame market operation where it can. First it is necessary to determine whether a firm is dominant, or whether it behaves "to an appreciable extent independently of its competitors, customers and ultimately of its consumer." Under EU law, very large market shares raise a presumption that a firm is dominant, which may be rebuttable. If a firm has a dominant position, then there is "a special responsibility not to allow its conduct to impair competition on the common market." Similarly as with collusive conduct, market shares are determined with reference to the particular market in which the firm and product in question is sold. Then although the lists are seldom closed, certain categories of abusive conduct are usually prohibited under the country's legislation. For instance, limiting production at a shipping port by refusing to raise expenditure and update technology could be abusive. Tying one product into the sale of another can be considered abuse too, being restrictive of consumer choice and depriving competitors of outlets. This was the alleged case in Microsoft v. Commission leading to an eventual fine of million for including its Windows Media Player with the Microsoft Windows platform. A refusal to supply a facility which is essential for all businesses attempting to compete to use can constitute an abuse. One example was in a case involving a medical company named Commercial Solvents. When it set up its own rival in the tuberculosis drugs market, Commercial Solvents were forced to continue supplying a company named Zoja with the raw materials for the drug. Zoja was the only market competitor, so without the court forcing supply, all competition would have been eliminated. Forms of abuse relating directly to pricing include price exploitation. It is difficult to prove at what point a dominant firm's prices become "exploitative" and this category of abuse is rarely found. In one case however, a French funeral service was found to have demanded exploitative prices, and this was justified on the basis that prices of funeral services outside the region could be compared. A more tricky issue is predatory pricing. This is the practice of dropping prices of a product so much that one's smaller competitors cannot cover their costs and fall out of business. The Chicago School (economics) considers predatory pricing to be unlikely. However, in France Telecom SA v. Commission a broadband internet company was forced to pay million for dropping its prices below its own production costs. It had "no interest in applying such prices except that of eliminating competitors" and was being cross-subsidized to capture the lion's share of a booming market. One last category of pricing abuse is price discrimination. An example of this could be offering rebates to industrial customers who export your company's sugar, but not to customers who are selling their goods in the same market as you are in. 1 2 3 Taylor, Martyn D. (2006). International competition law: a new dimension for the WTO?. Cambridge University Press. p. 1. ISBN 978-0-521-86389-6. ↑ Topping, Simon; Tweedale, Patrick. "UAE Competition Law: New Regulations and Potential Effect on M&A Transactions". Transaction Advisors. ISSN 2329-9134. ↑ Taylor, Martyn D. (2006). International competition law: a new dimension for the WTO?. Cambridge University Press. p. 2. ISBN 978-0-521-86389-6. ↑ see, Organization for Economic Co-operation and Development's Regulation and Sectors page. ↑ 25 Hen. 8, c. 2. 1 2 Papadopoulos, Anestis S (2010). The International Dimension of EU Competition Law and Policy. Cambridge University Press. p. 7. ISBN 978-0-521-19646-8. ↑ Papadopoulos, Anestis S (2010). The International Dimension of EU Competition Law and Policy. Cambridge University Press. pp. 8–9. ISBN 978-0-521-19646-8. 1 2 Papadopoulos, Anestis S (2010). The International Dimension of EU Competition Law and Policy. Cambridge University Press. pp. 9–10. ISBN 978-0-521-19646-8. ↑ Papadopoulos, Anestis S (2010). The International Dimension of EU Competition Law and Policy. Cambridge University Press. p. 11. ISBN 978-0-521-19646-8. ↑ Papadopoulos, Anestis S (2010). The International Dimension of EU Competition Law and Policy. Cambridge University Press. p. 12. ISBN 978-0-521-19646-8. ↑ Papadopoulos, Anestis S (2010). The International Dimension of EU Competition Law and Policy. Cambridge University Press. pp. 11–12. ISBN 978-0-521-19646-8. ↑ Papadopoulos, Anestis S (2010). The International Dimension of EU Competition Law and Policy. Cambridge University Press. pp. 12–13. ISBN 978-0-521-19646-8. ↑ Papadopoulos, Anestis S (2010). The International Dimension of EU Competition Law and Policy. Cambridge University Press. p. 14. ISBN 978-0-521-19646-8. ↑ Vandenborre, Ingrid; Goetz, Thorsten; Dionnet, Stephane. "EU Nonmerger Antitrust Enforcement Gets Stricter". Transaction Advisors. ISSN 2329-9134. ↑ "CCI formation". CCI. Retrieved 4 January 2013. ↑ Papadopoulos, Anestis S (2010). The International Dimension of EU Competition Law and Policy. Cambridge University Press. p. 15. ISBN 978-0-521-19646-8. ↑ Hawaii v. Standard Oil Co. of California, 405 U.S. 251 (1972), 262. ↑ McEwin, R Ian (2003). "COMPETITION LAW IN A SMALL OPEN ECONOMY". University of New South Wales Law Journal. 15: 246. ↑ Whish (2003), p. 14. ↑ Clark, John M. (1940). "Towards a Concept of Workable Competition". American Economic Review. 30 (2): 241–56. JSTOR 1807048. ↑ c.f. Lipsey, R. G.; Lancaster, Kelvin (1956). "The General Theory of Second Best". Review of Economic Studies. 24 (1): 11–32. doi:10.2307/2296233. ↑ Hovenkamp, Herbert (1985). "Antitrust Policy after Chicago". Michigan Law Review. The Michigan Law Review Association. 84 (2): 213–84. doi:10.2307/1289065. JSTOR 1289065. ↑ Continental T.V., Inc. v. GTE Sylvania Inc., 433 U.S. 36 (1977); Broadcast Music, Inc. v. Columbia Broadcasting System, Inc., 441 U.S. 1 (1979); National Collegiate Athletic Assn. v. Board of Regents of Univ. of Okla., 468 U.S. 85 (1984); Spectrum Sports, Inc. v. McQuillan, 506 U.S. 447 (1993); State Oil Co. v. Khan, 522 U.S. 3 (1997); Verizon v. Trinko, 540 U.S. 398 (2004); Leegin Creative Leather Products Inc. v. PSKS Inc., 551 U.S. ___ (2007). ↑ Posner, R. (2001). Antitrust Law (2nd ed.). Chicago: University of Chicago Press. ISBN 0-226-67576-9. ↑ Posner, R. (2007). Economic Analysis of Law (7th ed.). Austin, TX: Wolters Kluwer Law & Business. ISBN 978-0-7355-6354-4. ↑ Bork, Robert H. (1978). The Antitrust Paradox. New York: Free Press. ISBN 0-465-00369-9. 1 2 Bork (1978), p. 405. ↑ Bork (1978), p. 406. ↑ Easterbrook, Frank (1984). "The Limits of Antitrust". Texas Law Review. 63: 1. ISSN 0040-4411. ↑ Brooke Group v. Williamson, 509 U.S. 209 (1993). ↑ see, e.g. Posner (1998) p. 332; "While it is possible to imagine cases in which predatory pricing would be a rational stragy, it should be apparent by now why confirmed cases of it are rare." 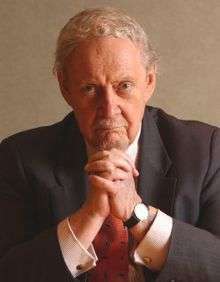 ↑ In the case of [T-102/96] Gencor Ltd v. Commission  ECR II-753 the EU Court of First Instance wrote merger control is there "to avoid the establishment of market structures which may create or strengthen a dominant position and not need to control directly possible abuses of dominant positions"
↑ Coase, Ronald H. (November 1937). "The Nature of the Firm" (PDF). Economica. 4 (16): 386–405. doi:10.1111/j.1468-0335.1937.tb00002.x. Archived from the original (PDF) on 13 January 2007. Retrieved 2007-02-10. ↑ see the argument put forth in Hovenkamp H (1999) Federal Antitrust Policy: The Law of Competition and Its Practice, 2nd Ed, West Group, St. Paul, Minnesota. Unlike the authorities however, the courts take a dim view of the efficiencies defense. ↑ e.g. Guinness/Grand Metropolitan  5 CMLR 760, OJ L288; Many in the US disapprove of this approach, see W. J. Kolasky, Conglomerate Mergers and Range Effects: It's a long way from Chicago to Brussels 9 November 2001, Address before George Mason University Symposium Washington, DC. ↑ Antitrust Enforcement and Intellectual Property Rights: Promoting Innovation and Competition (PDF) (Report). U.S. Department of Justice and Federal Trade Commission. April 2007. ↑ Suzanne Scotchmer: "Innovation and Incentives" the MIT press, 2004 (Chapter 2). McChesney, Fred (2008). "Antitrust". In David R. Henderson (ed.). Concise Encyclopedia of Economics (2nd ed.). Indianapolis: Library of Economics and Liberty. ISBN 978-0865976658. OCLC 237794267.